Eugene Long has been practicing law in California since 2006. He has litigated numerous employment law cases representing both plaintiffs and defendants. Prior to joining, Holben & Associates, Mr. Long practiced with several small employment law firms and served as an Assistant U.S. Attorney. During his time as an attorney, he represented both employees and employers in claims of discrimination, wrongful termination, sexual harassment, retaliation, wage & hour disputes, and contract disputes in both state and federal courts as well as before governmental agencies. Additionally, Mr. Long owned and operated his own law firm, focusing on employment law, business formation, and general civil litigation matters. He also advised corporate management on legal compliance and conducted seminars on the prevention of sexual harassment. Mr. Long has authored numerous articles on developments in California labor and employment law. Prior to practicing law in California, Mr. Long served with the Cook County State's Attorney's Office in Chicago, Illinois. As a prosecutor, Mr. Long acted as lead counsel in over 20 felony and misdemeanor trials involving juvenile criminal defendants. He also tried over 30 child abuse and neglect matters, and more than 50 DUI cases. Mr. Long is a member of the California State Bar and is admitted to practice before all state courts as well as the Central and Southern Districts of the California federal courts. 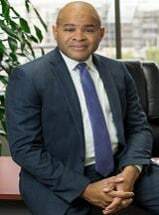 He is former member of the Illinois State Bar and holds a certification as a Senior Professional in Human Resources (SPHR). Prior to law school, Mr. Long served on active duty and in the reserves as a U.S. Army military police officer. His assignments included leadership and staff positions in Korea, Bosnia-Herzegovina, and Germany.